Leasing Available from $35.18 per month! Leasing Available from $35.34 per month! 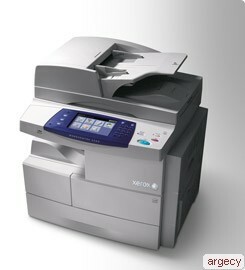 The Xerox WorkCentre 4250 multifunction printer (also available as a copier only) combines world-class copy, print, color scan, and fax capabilities with exceptional reliability and ease of use. It brings large departmental MFP capabilities to a letter/A4-sized device, such as two-sided output, networking, 100-sheet DADF, and 80 GB hard drive - all of which are standard. More environmentally-friendly features that save paper and toner such as duplexing and ID Card Copy are standard on all 4250 models, and Fax forward to email on fax-enabled 4250s. Most competitive products offer these as optional or not at all. Size: 2.75 x 6 in. to 8.5 x 14 in.